Saw this on the way home from work, same area as the blue comanche. LOTS of money flows through this area. I think that's one of those Brutes. 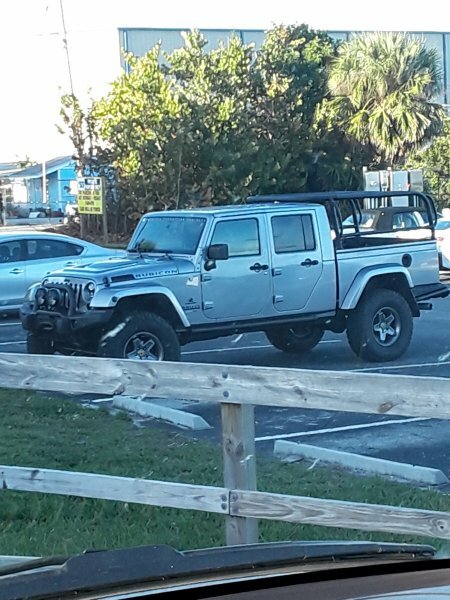 The gas filler is in a different spot, the rear flare overlaps the cab and the grill is more slanted back on the Gladiator. 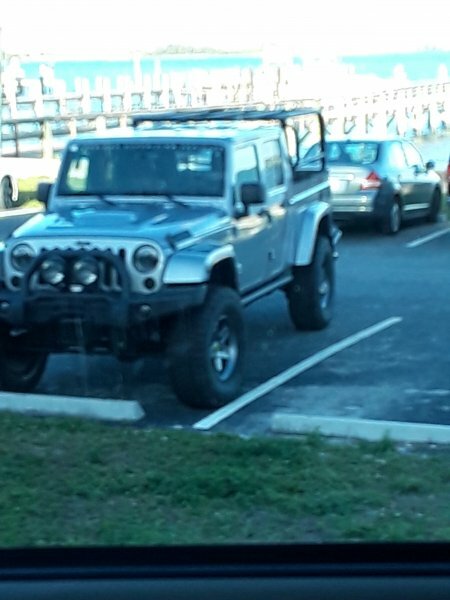 It is a JK Brute conversion. The grill is a dead give away. 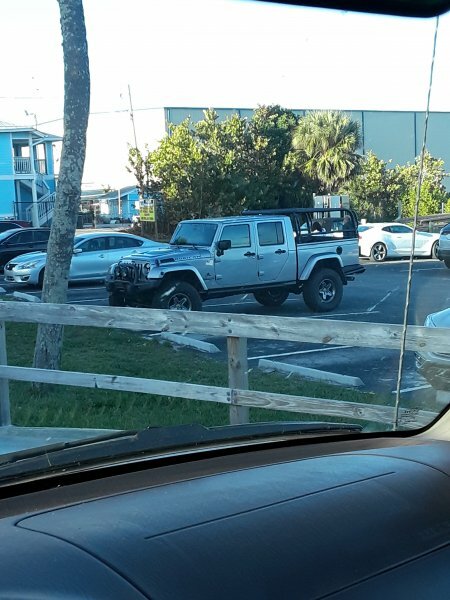 The JL grill's headlights run into the vertical slats. Cool rig either way. Yeah, not a Gladiator, but still expensive!